Go wherever the flow takes you with Spotting! Getting your period is a pain — especially when you're unprepared. Have you been at the gym or coffee shop when that “time of the month” hits and you don't have any supplies on hand? Don’t panic — Spotting! is here to get you the help you need. Spotting! 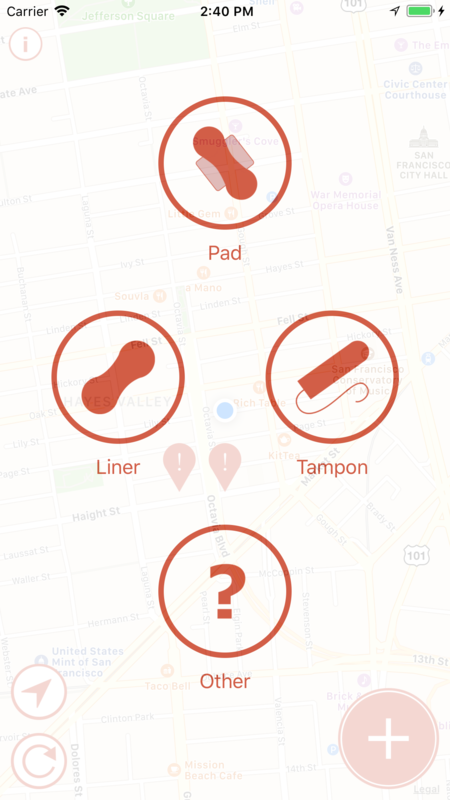 is a location-based application that lets users ask other people in their area for menstrual hygiene products. 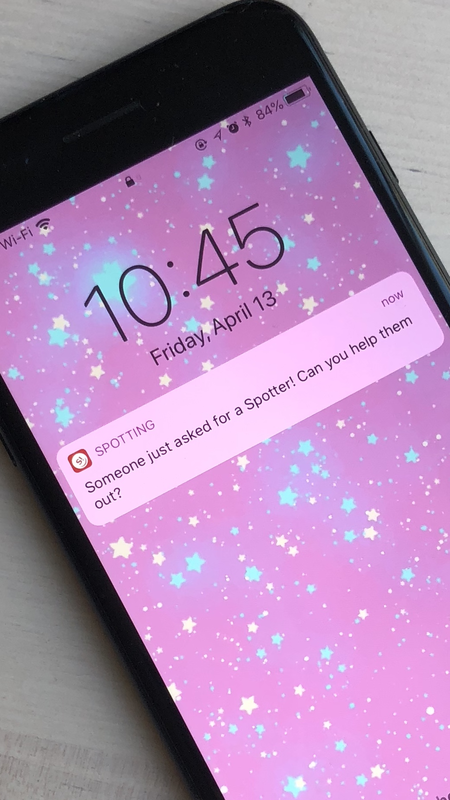 You can submit requests to let nearby Spotters know you need a helping hand, or you can check the map to see if there's anyone you can assist. Periods are a pain, so let's work together to make them hurt a little less. Need a tampon, pad, or liner? 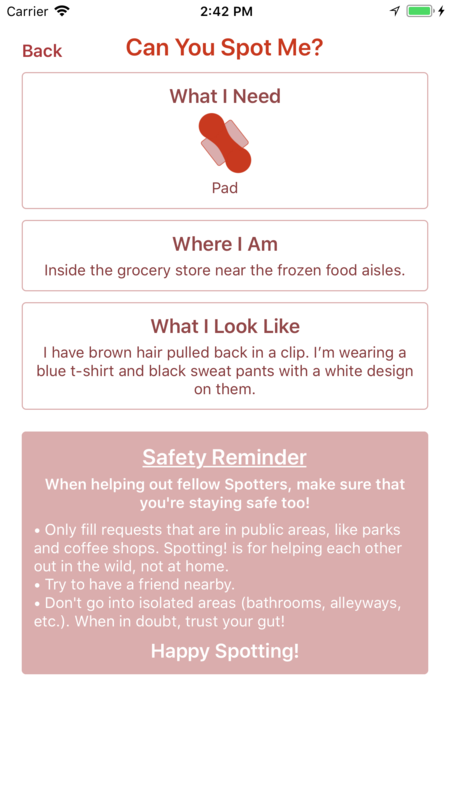 Submit a request to let nearby Spotters know you could use some help. There's no login or sign-up process: all it takes it a few taps and your request is ready to be answered. See a request in your area? If you've got what they need, you can help them out of a tough spot. Click on the map marker to see the details of a request: what the user wants, where they are, and what they look like. Don't worry about having the app open all the time! Spotting! will send you a notification when you are near an open request. Comments? Questions? Thought of another period pun that isn't on the site? I'd love to hear from you!